Chronic stress is a major culprit in women’s lives, contributing to ongoing cycles of fatigue, poor nutrition, mood swings, and hormonal imbalance. Trying to help themselves through each day, many women find themselves overloading on caffeine, sugary snacks, alcohol, and even sleep aids to manage stress, all of which can disrupt our body’s normal rhythms. Our adrenal glands, which are the size of walnuts, have an enormous job. They produce many hormones that regulate our body’s functioning, including cortisol, a hormone activated when our stress levels rise, signaling our body to enter a heightened state of emergency. But high cortisol levels are intended to be short term, not remain elevated. Since our adrenals do not know the difference between stressors, they can continue to work overtime to do their jobs, whether we are stressed due to an emergency or are simply stressed out. When cortisol levels stay elevated, it interferes with the many functions in our body, including immune function, digestion, sleep, and even the ability to produce other essential hormones like estrogen, progesterone, testosterone, and thyroid hormones. This can lead to high blood pressure, high blood sugar, excess abdominal fat, and inflammation, causing our health to be compromised, along with our moods. When the adrenal glands continue to be compromised long term, they have a decreased ability to produce cortisol, and instead produce extra adrenaline, causing us to feel irritable, shaky, light-headed, and anxious. These issues, although very concerning, can be relieved when adrenal dysfunction is healed. And the good news is, it can be relieved! 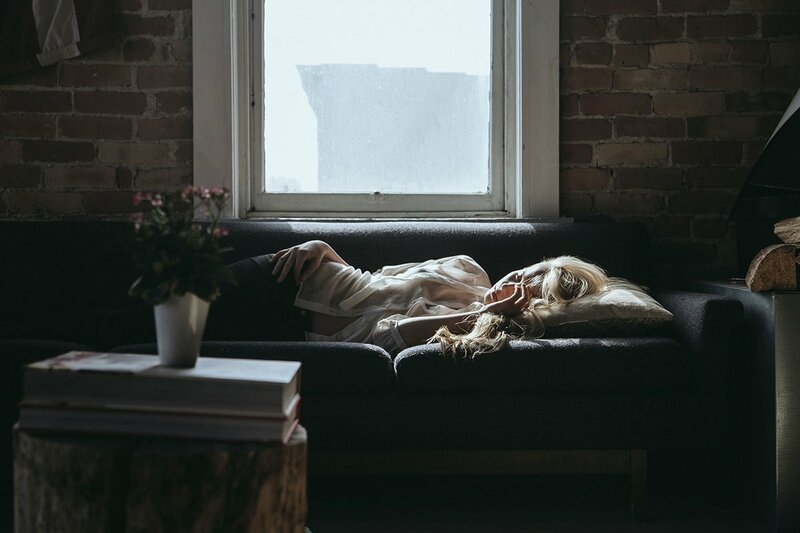 Along with decreasing chronic stress, adjusting our emotional responses to stressors, and changing what, when, and how we eat, we can reverse adrenal fatigue. Let’s have a look at some of the dietary approaches we can use to not only support our adrenals, but also improve our energy. When we go for long periods of time without food, our adrenal glands work hard to release more cortisol and adrenaline, to try to maintain our body’s normal functioning. When our blood sugar dips for extended periods of time, this creates a stress reaction, causing our adrenals to work overtime. Cortisol works to moderate blood sugar levels in between meals and at night, it also follows our natural circadian rhythm which begins to rise around 6 am, peaks around 8 am, and then throughout the day naturally rises and falls as needed. It tapers off at night and reaches its lowest levels while we are sleeping. Adhering to an eating schedule will help to regulate cortisol levels and its natural cycle. When we properly time our meals and snacks, we can prevent dramatic drops in blood sugar and support our body’s natural functioning. Our adrenals will not have to continually work to produce cortisol and can instead perform many of their other important functions. Eating a nutritious breakfast within the first hour of rising is crucial. While we sleep at night, our bodies use large amounts of energy to regenerate themselves. By the time we awaken, our bodies need fuel to balance our metabolisms and cortisol levels throughout the entire day. So, in essence, YOU set the tone of your day by simply eating a nutritious breakfast that includes protein. Corticotrophin-releasing hormones (CRH) levels can dull the appetite when it enters the bloodstream at a fast rate first thing in the morning. Decreased liver function can accompany adrenal fatigue, which also can quell morning hunger. Eat breakfast within the first hour of getting up, or by 8 am to restore blood sugar levels that were depleted during the night. Eat a healthy snack around 9 am. Try to eat lunch between 11 am and noon to prevent a dip in cortisol levels. Eat a healthy snack between 2 and 3 pm to help offset the natural cortisol dip that occurs around 3 or 4 pm. Many people notice this dip every day and will reach for caffeine or carbohydrate loaded snacks, which will actually impede hormonal balance. Try to eat dinner between 5 and 6 pm and although it may be difficult at first, try to eat a light meal. Eventually your body will enjoy digesting less food in the evening. Eat a nutritious, light snack an hour before bedtime, avoiding all refined sugars. Fighting adrenal fatigue is exhausting, and reaching for quick, easy, and even sugary snacks is common. Unfortunately the energy we get from these types of foods is short-term. The quick spike in blood sugar, followed by a spike in insulin levels, causes us to “crash.” Stress and exhaustion, when combined with hunger, affect our hormones and how they function, as well as our sleep patterns, which affects our serotonin levels as well. Foods high in vitamin C, like bell peppers, guavas, dark leafy greens, kiwi, broccoli, berries, citrus fruits, cooked tomatoes, and papaya. All foods high in B vitamins (especially pantothenic acid and B6) like avocados, sweet potatoes, yogurt (preferably goat or sheep), turkey and chicken (light meat), lentils, sunflower seeds, wild caught salmon, herring, halibut, and lean beef. Magnesium rich foods that will provide energy to the adrenal glands like beans, nuts, gluten-free whole grains, organic brown rice, and dark leafy greens. Foods high in calcium and trace minerals, including zinc, manganese and selenium, provide calming effects on the body. Try consuming beet and turnip greens, dark leafy greens, sea vegetables (kelp, seaweed), oysters, cabbage, bok choy, hazelnuts, almonds, bananas, melons, goat or sheep cheese, olives in water, coconut, cooked tomatoes, gluten-free whole grains, beans, and organ meats. Salt cravings and adrenal insufficiency are related to low levels of a steroid hormone called aldosterone. This hormone helps the body maintain salt and water as a way to help regulate blood pressure. When cortisol goes up, aldosterone goes down. Like cortisol, aldosterone fluctuates throughout the day, and is also influenced by stress. Chronically low levels of aldosterone can impact electrolyte balance, and sodium intake is one way to help correct this imbalance. If you experience lightheadedness when you get out of bed in the morning, or when you get out of a hot bath or shower, you may have hypotension or low blood pressure. This is a common side effect of adrenal insufficiency, so adding a good quality-salt, such as Celtic sea salt, could be helpful to manage those symptoms. It’s amazing to think that the adrenal glands have so much power over our functioning. When they are working properly they offer balance – providing us with energy when we require it, and helping us feel relaxed when it’s time to rest. The burden is great on our adrenals, and they can become impaired under the heels of long term stress. But we can make small choices that can dramatically impact their functioning for the better. With proper nutrition, exercise, relaxation and sleep, our body’s natural rhythms will be supported. By reducing stress levels, our adrenal glands will work in harmony with us, and our energy and vitality will be renewed.